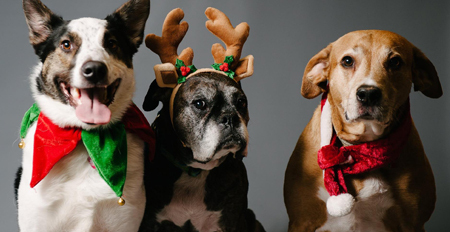 The holidays are coming so make sure to get your pet portraits taken for those holiday cards! On Saturday, November 3rd, local photographer Jonathan Joy-Gaba will be offering holiday pet portraits here at Old Dominion Animal Hospital! Each session is $50, which will include the 15 minute studio session (2 pets max, 3 or more pets please reserve additional time slots) and high resolution digital images. The entire session fee will be donated to the Companion Animal Fund, supporting local rescues in need. Appointments are every 15 minutes starting at 8am until 2pm. Please call us at 434-971-3500 to reserve your spot!